Are you looking for a farm business management class to help brush up your financial and production planning skills? Penn State Extension’s Agricultural Entrepreneurship Team will offer Farm$en$e across the state at various locations starting in December and running through early April. Farm$en$e is a finance and production education class for Pennsylvania farm businesses. Farming is a complex business. The key to running a successful farm business is the ability to manage scarce financial resources and plan farm production accordingly. This short course teaches participants how to organize and use financial records; develop and analyze financial statements; and make informed decisions regarding finances and production. The concepts covered promote better internal decisions for farm management and stronger relationships with external partners, such as lenders. 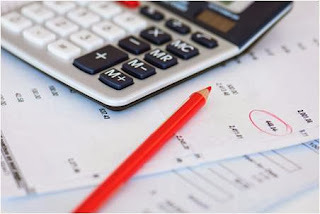 The adoption of farm records and the use of financial statements, such as the balance sheet, cash flow, and income statement significantly impact farm financial performance. This course satisfies the requirements for borrowers of the Farm Service Agency, but is also available to borrowers and lenders of any private agricultural bank. impact a farm's financial performance. Register online for the session in your area by clicking on the link above or by phone by calling Kathy Shaffer at 814-445-8911, ext. 7. The cost of the program is $225 per participant, pre-registration is required for all those attending. For more information contact Miguel Saviroff, mas60@psu.edu or 814-445-8911, ext. 144.